Many academic, public, and museum libraries contain leather bound books that are still used in research. Many of these books have weak hinges or completed detached boards. 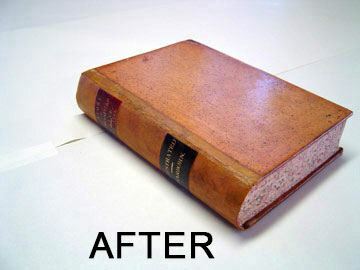 Leather re-backing is cost prohibitive, especially for books that are heavily used in research. 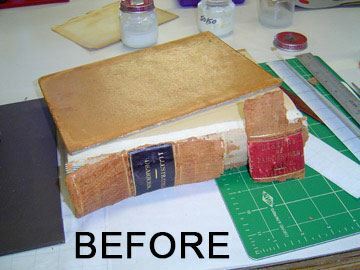 This style of repair was refined as a conservation technique by Don Etherington in the 1980s and is a common repair technique used for circulating and special collections books. The workshop will begin at 9AM and continue until 4PM. A half hour will be provided in the middle of the day for lunch. Anastasia Weigle currently owns INABIND Studio. as a book conservator, bookbinder, and artist. 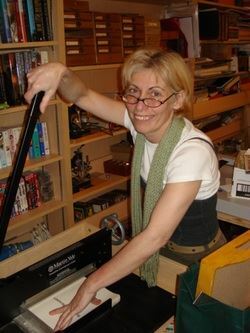 She has taught various workshops in bookbinding, materials repair, altered book and assemblage/multimedia art. Anastasia holds a B.A. in Natural Science Illustration with a minor in Museum Studies, an M.S.L.I.S. in Archives Management and is currently a doctoral candidate at Simmons College in Information Science. Anastasia's extensive background in library and museum archives has also spilled into her work as an assemblage artist. Her work reflects her profession as an archivist. Her academic skills and her artistic talents are tightly woven together to create a cohesive, structured body of work, which encourages the viewer to discover a piece of themselves inside her art. Anastasia was featured on National Cable Television HGTV’s “That’s Clever” in August 2006 and March 2007, was listed in the 2008 Studio Visit art catalog, featured as one of the ten assemblage artists in the Jan/Feb 2009 Maine Home and Design magazine, and in 1000 Artists Books. Anastasia has published works in The Journal of Contemporary Archival Studies, Preserving Local Writers, Genealogists, Photographs, Newspapers, and Related Materials, and in the forthcoming book Genealogy and the Librarian: Perspectives on Research, Instruction, Outreach and Management. 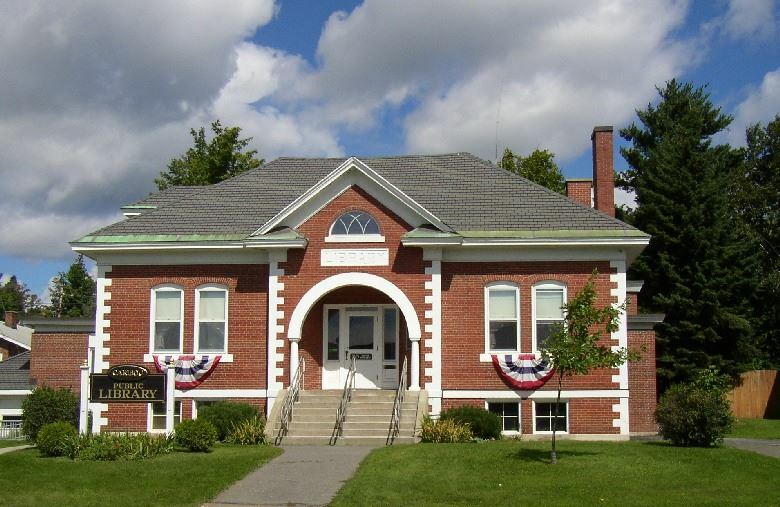 This event is hosted in the Caribou Room at the Caribou Public Library. Online registration will be open through May 13. To register after this date, contact Anastasia Weigle at 207-493-5946. The size of the workshop space limits registration to 10 participants - register early to reserve your space!